With less than two months to go before Sanya hosts the spectacular Volvo Ocean Race 2011-12 stopover celebration this New Year, construction infrastructure is going to be completed at the Luhuitou Peninsula ‘Destination Village’ where a fortnight of activities will celebrate the hosting. 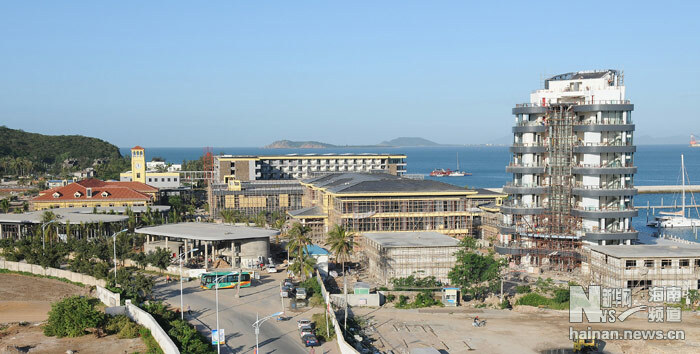 The destination village, which overlooks Luhuitou Peninsula’s impressive skyline, started construction in October 2011. A series of entertainment facilities for stopover include exhibitions, hotels, club zones, hospitality, restaurants and cafes and shops. According to the Sanya Tourism Authority, the city is also developing tailored programs for the New Year’s hosting of the Volvo Ocean Race 2011-12 to cater to international and domestic travelers looking to take advantage of the city’s fully-packed events. The Volvo Ocean Race 2011-12 begins in Alicante, Spain in October 2011 and ends in Galway, Ireland in summer next year. It is a 39,000-mile, nine-month round the world sailing race with 10 city stopovers.